Along with EVOLVE and fellow London based promotion PROGRESS, Revolution Pro Wrestling was one of the three independent wrestling promotions chosen by the WWE to host a qualifying match for their upcoming Global Cruiserweight Series. While there were a few teething problems, most notably when Triple H spoiled the results of two of the qualifying matches prior to them taking place (this match included), the concept of WWE working with and helping to promote these smaller promotions is something that I find incredibly exciting. WWE has posted highlights of the three qualifying matches that have taken place so far to their YouTube channel and to this point they’ve averaged close to 200,000 views each. That’s hundreds of thousands of wrestling fans having their first exposure to both RPW and PROGRESS, and even if just 1% choose to investigate further that’s a huge boon for either promotion. Prior to the match Noam Dar got on the mic to talk about what the Global Cruiserweight Series means to him, and how the day Triple H announced his involvement was extremely bittersweet as that was also the day where his friend and fellow UK wrestler Kris Travis tragically lost his fight with cancer. So, in a lovely touch, Noam Dar dedicated this match to his memory and proceeded to wrestle the match in a Kris Travis t-shirt. 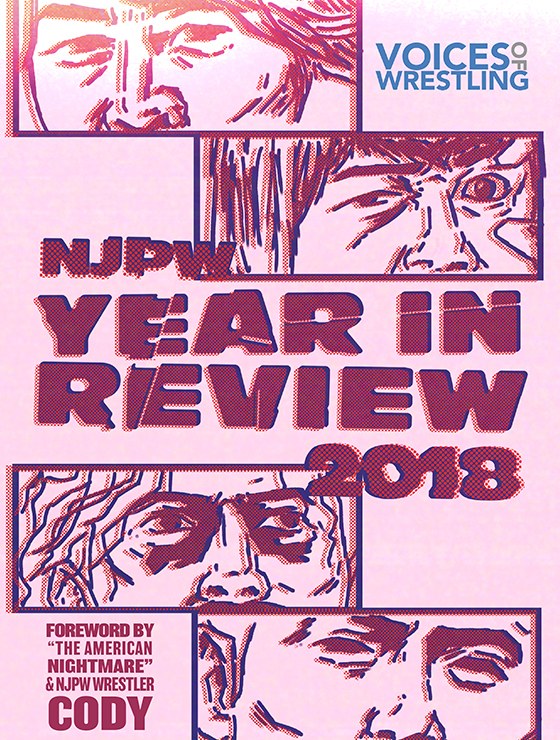 One of the most exciting things about the current UK scene is how young so many of the talents are, because you know that as good as they are now chances are they’re going to to get considerably better. 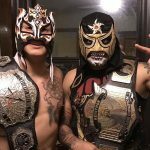 This match was a prime example of that, as it pitted two 22 year olds against each other over the chance to earn a spot in the WWE Global Cruiserweight Series this Summer. Israeli-born Scot Noam Dar has been on this Earth for just 22 years, but is somebody who several would view as somewhat of a veteran on the British scene. Being as this is his eighth year in the business in many ways that’s appropriate. While he’s not internationally one of the more well known talents from the British Isles, and consequently wasn’t one of the names that got instantly brought up when the Global Cruiserweight Series was announced (like a Scurll, Haskins, Ospreay or Sabre Jr.), he’s an excellent choice to fill in one of the 32 spots available. In recent times he’s been a regular in Insane Championship Wrestling up in Scotland and Preston City Wrestling in the North of England, but he was also an integral part of both PROGRESS and RPW in the South of the country at one point. However, shortly before both promotions really began garnering a sizable international ICW expanded their touring schedule and he stopped working for the two London based promotions. 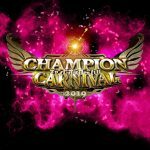 When the Global Cruiserweight Series was announced the general reaction seemed to be to think that the tournament was going to be an amazing exhibition for the best high-flyers in the world. However, while there have been one or two who fit in with that assumption, for the most part the members of the field which have been announced up to this point really do not fit that mold. 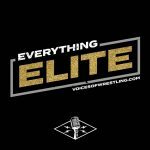 Instead there’s been a consistent similarity of a strong technical base with a heavy emphasis on mat-work and submissions running through most of the participants so far (something that’s only going to get stronger after we find out who qualifies from EVOLVE this weekend). 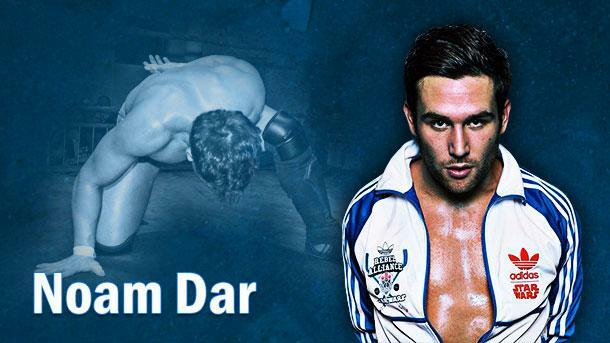 Noam Dar very much fits into that theme which has developed so far. His work is almost always very limb focused, with submission work making up a large portion of his offense and his transitions and chain wrestling moves are always silky-smooth. Perhaps his biggest strength is that there’s a real sense of purpose to his work and in many ways his style is somewhat minimalistic; I’ve never watched a match of his and felt he’d done too much. Dar isn’t really somebody who is necessarily going to have long blow away main event matches that are going to be making it onto Match of the Month lists. What he does have is the ability to have a really good, compact ten minute match that will never overstay its welcome and is the perfect follow up to reset a crowd after a ‘go-go-go’ style match. He’s also incredibly versatile and can have a good match with just about anybody, and can work equally well on either side of the face-heel divide. He’s the king of a ***1/2 match, and that’s really nothing to scoff at. Thinking of matches to recommend of his for those looking to get familiar with his work prior to the tournament really backed up that idea. 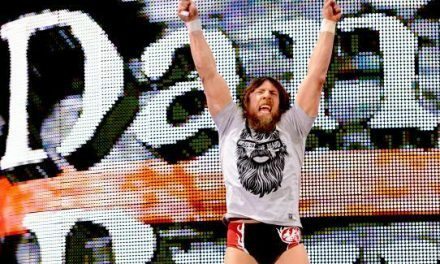 While I can think of a plethora of very good matches, I really struggled to come up with one definitive great match from his portfolio. However, if you watch the first two PROGRESS matches he had with El Ligero from Chapter One and Seven you’ll get a really good feel for what Dar is all about. They’re not blow-away matches that are going to affect your Match of the Year ballots, but if you’re looking for examples of what to expect from Dar in the tournament I doubt watching these matches will steer you far wrong. 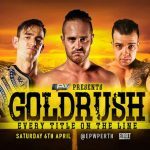 If you’re looking for some of his work where he had something closer to a traditional indie all-action match then give his match against Adam Cole from PCW a watch. His in-ring is far from all Dar brings to the table though. Whenever he’s been put in a position to talk he’s always comes across really naturally, exemplified by his candid short speech prior to this qualifying match. He also has a remarkable ability to seemingly flip a switch and change his charisma from being hugely genuine and likable to irritating and irksome depending on what reaction he is going after. Dar is somebody that could comfortably play both a face and a heel in the tournament, pivoting to benefit whichever opponent he was facing in that round, and he would manage to make the transition feel unforced. I can’t see Noam Dar coming out of the Global Cruiserweight Series as the victor, or even the breakout star, but I do see him as a very valuable addition to the field. If given the opportunity he will come away having left a positive impression with those seeing him for the first time. In all my time watching him I’ve never seen him look out of place in a match or overwhelmed, and I wholeheartedly expect that to continue in this tournament despite the scale of the stage that this 22 year old is getting a chance to perform on. Was Triple H actually punished after the Curtain Call?